It's a fish that lives in a cave and is blind. What else could you possibly call it? How about Mexican Tetra? This is what Blind Cavefish look like when they don't live in a cave and are not blind. They're 12 cm (5 in) long and reside in streams and rivers in eastern Mexico and parts of southern United States. 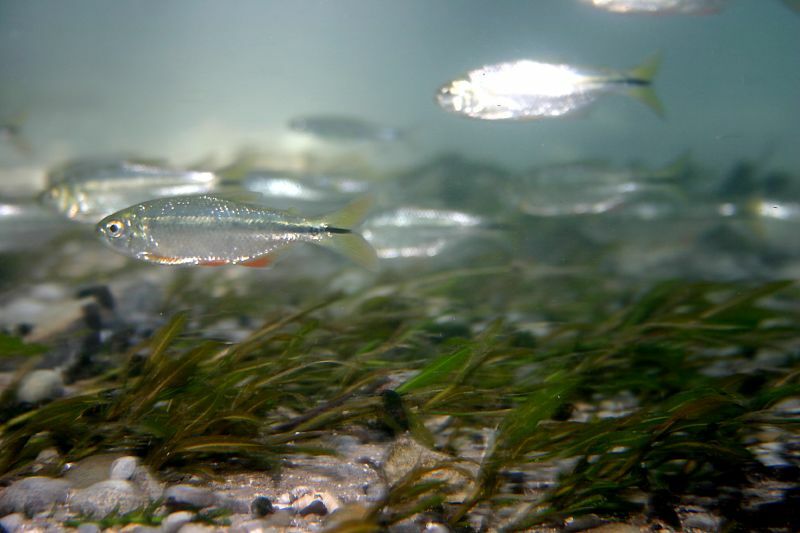 They belong to the Characidae family, which means they're quite drab compared to relatives like Neons, Cardinals, Emperors and all those other popular aquarium tetras. It also makes them related to piranhas, pacus and other species which unwise souls eventually realise are way too big for their tank. Still, with their silvery scales and bright eyes we can well imagine Mexican Tetras sparkling gaily in the light of the sun. They form schools of hundreds if not thousands of individuals, all feasting, making merry and sacrificing small crayfish to the sun spirit. What joy! Until they find themselves in a cave and, over the course of generations, become one with the darkness and join the phantasmal ranks of the Brethren of Unlight. As it happens, Mexican Tetras are well-placed for survival in this most bleak of environs. Even when they're out in the open they prefer rivers and streams with a rocky or sandy bed. This means they won't pine away when they lack the hiding places provided by plants and foliage in a Dutch aquascape. They're also carnivores who feed on insects, worms and small fish. Good, because there's no vegetarian option where the sun don't shine. 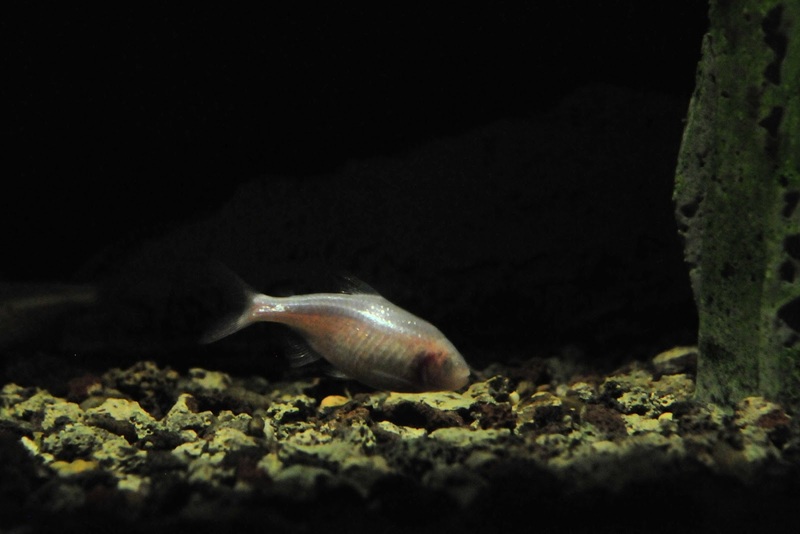 Interestingly enough, Blind Cavefish seem completely unhindered by their inability to see. They get around and feed themselves with as much confidence as their sunlit kin. So how does a fish with no eyes get around? One we'll probably find out some day. I'm sure scientists will get sick of boring rat mazes and start designing ridiculous, three dimensional water-mazes for Blind Cavefish soon. I bet someone already has the blueprints, and it'll be the same kind of leap forward for maze design as 3D graphics were for computer games and that weird chessboard on Star Trek was for chess. I'm not even joking. I am kind of joking. But there really is a lot of research going on into the life and times of Blind Cavefish. It's partly because they're fish who live in a cave and are blind, and partly because they're easy to look after and readily breed in an aquarium. They'll even cross the divide and breed with Mexican Tetras who have eyeballs and have lived all their lives in the cosy embrace of sunlight. 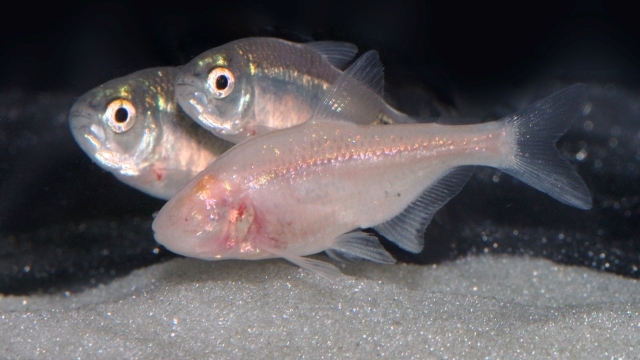 Isn't it wonderful that the Blind Cavefish can accept the Mexican Tetra despite those fleshy orbs bulging out of his face? It's soooo romantic! 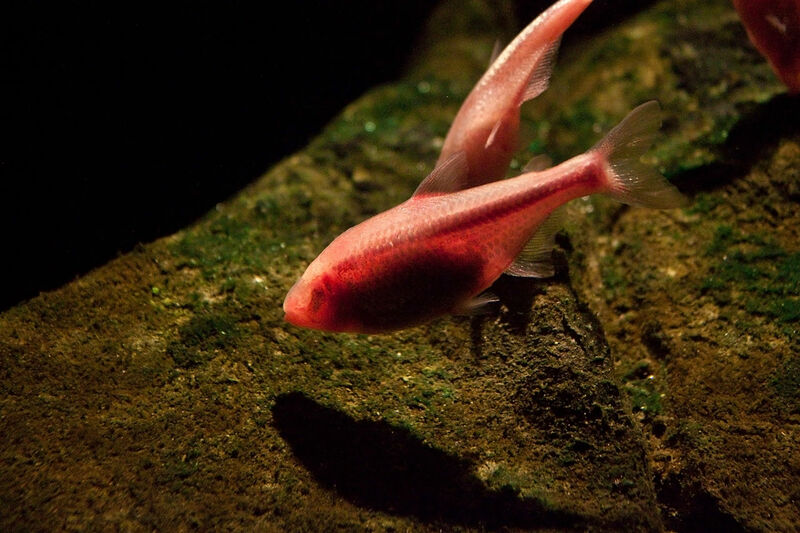 One thing they've discovered is that Blind Cavefish sleep about a quarter as much their sunny-sided cousins. This probably isn't because perpetual darkness keeps them up all (eternal) night, but more to do with getting all the food they need in a place where there isn't much food to be had. Something else they discovered is that there's convergent evolution within the species. 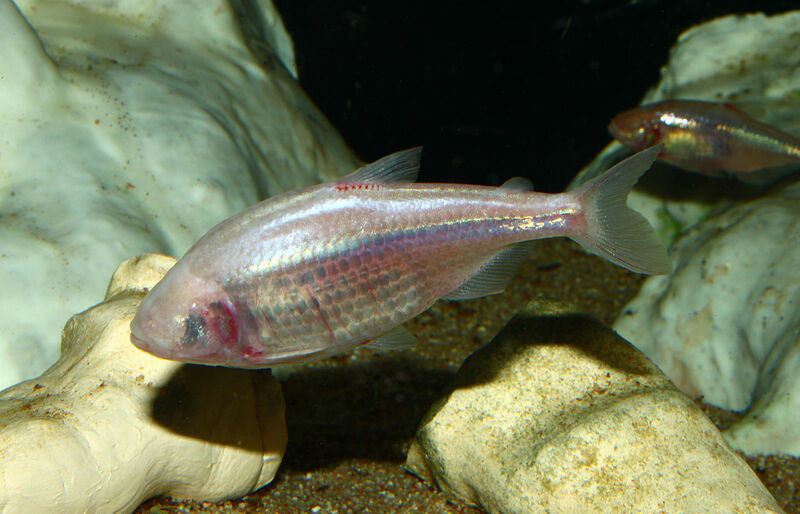 There are dozens of Blind Cavefish populations dotted around and they didn't all come from some original group of Mexican Tetras that got trapped in a cave. Rather it seems that several populations went down various caves and each one independently adapted to their new life. Another bit of research involves a whole other mechanism of evolution, where the change in environment is such a shock to the system that certain regulatory proteins are inhibited. The effect is that genetic variation that had always been repressed is suddenly liberated, resulting in the physical variation that was surely their birthright all along. They just want to express themselves after all. Basically, the Blind Cavefish is hot stuff right now. They may not be able to see us, but I'm sure we'll see a lot more of them in future. @TexWisGirl: Yup! That's total devotion to the cave life. @Lear's Fool: That's just one of those romantic mysteries!